For his inauguration in May, Vladimir Putin rode in a new limo developed by Russian carmakers for the first time since the 90s. Previously, he opted for foreign cars, like many of his predecessors. What brands did they prefer? “A miracle of the contemporary automobile industry. It is not possible to ask for more from its designers.” That’s how Moscow-based magazine "Automobilist" wrote about the Delaunay-Belleville car owned by Russian tsar Nicholas II in 1910. For that epoch it really looked like a miracle – back then it was very unusual to start the engine from behind the wheel as opposed to winding it up from the front. 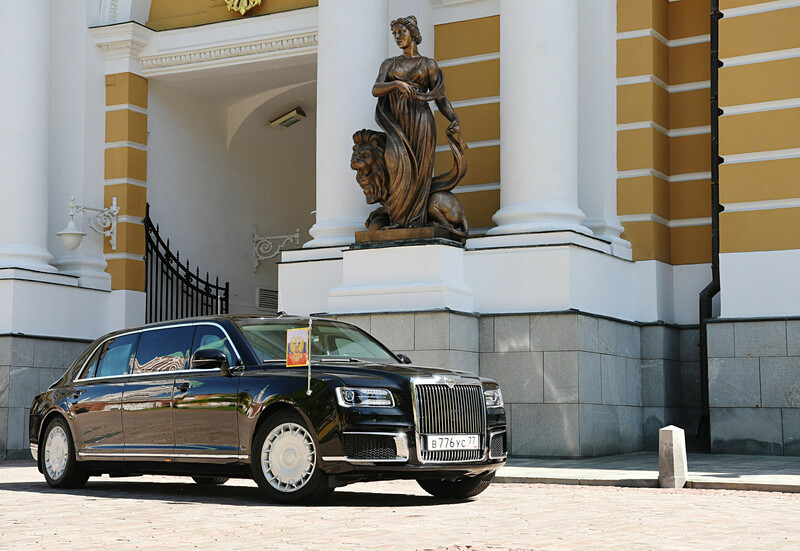 The car also drove very smoothly and it’s roof was customized according to the tsar’s height. The French company specialized in the production of luxury automobiles. Nicholas II owned two Delaunay-Belleville limos that were both named SMT – Sa Majeste le Tsar – His Majesty Tsar. These limos were only a fraction of the grand collection. By 1910 the royal garage consisted of 22 cars, 17 of which served the needs of the tsar’s entourage and five belonged to the royal family (four were made by Delaunay-Belleville). 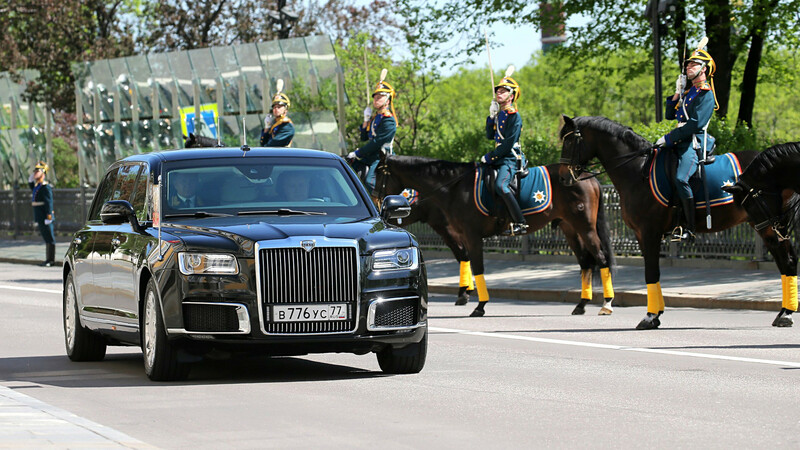 Nicholas II himself preferred Cabriolets as he believed he should be seen by the public, while his security naturally opted for more inconspicuous rides. After the Revolution the royal cars were transferred to the Provisional government and then to the Bolsheviks after they seized power. 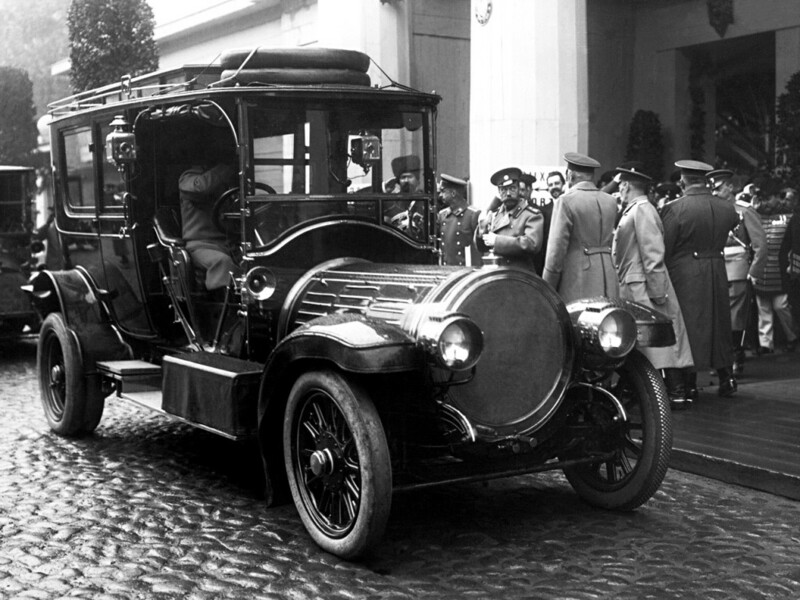 Lenin used two of the royal Delaunay-Belleville limos. However, one was ruined during an attempt on his life and the second was stolen. 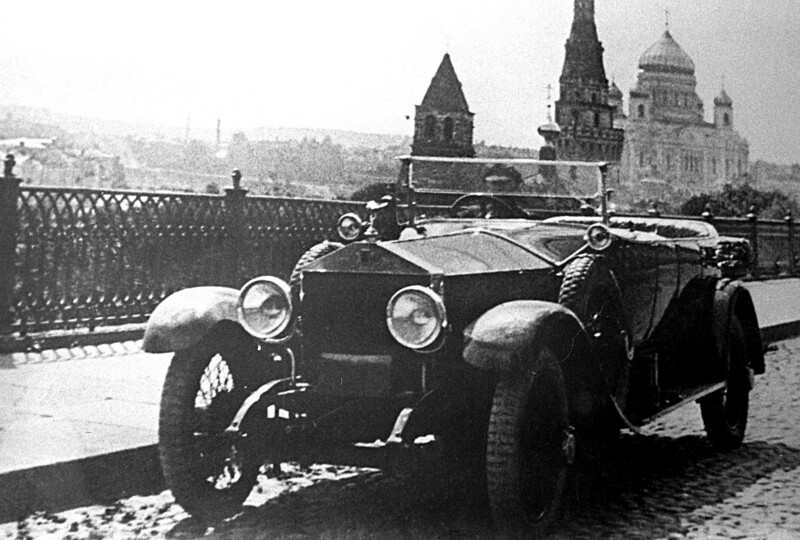 Lenin’s car was simply stopped in the middle of the road and the robbers took it despite the leader’s attempts to reason with the gangsters. Later, Lenin switched to a Rolls-Royce Silver Ghost limo. It’s said the first one he adopted was confiscated from a Russian business tycoon but the Soviet government later bought several. Lenin was officially presented with one and from 1923 used it as his personal car. Stalin’s favorite car was the Packard 12 which he received as a present from U.S. President Franklin Roosevelt in 1935. 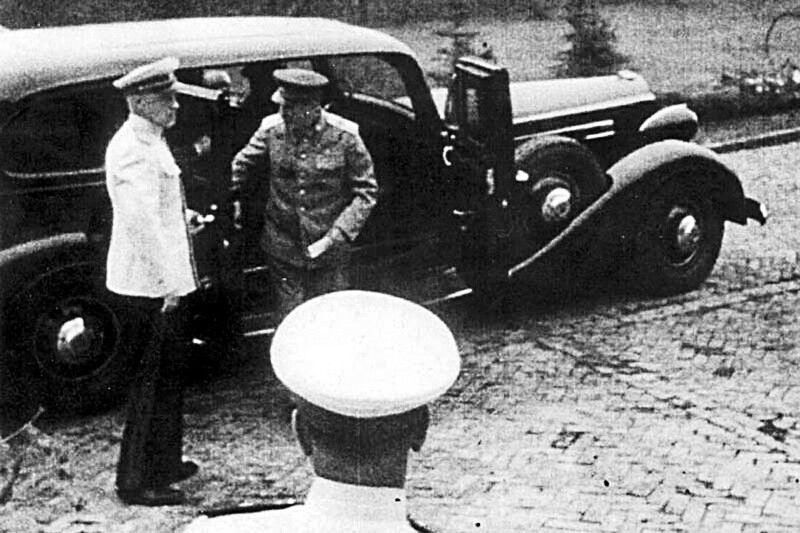 It was this car that he used during famous Allied conferences in Tehran, Yalta, and Potsdam. Rumor has it that he observed the ruins of captured Berlin in 1945 from the windows of his Packard. 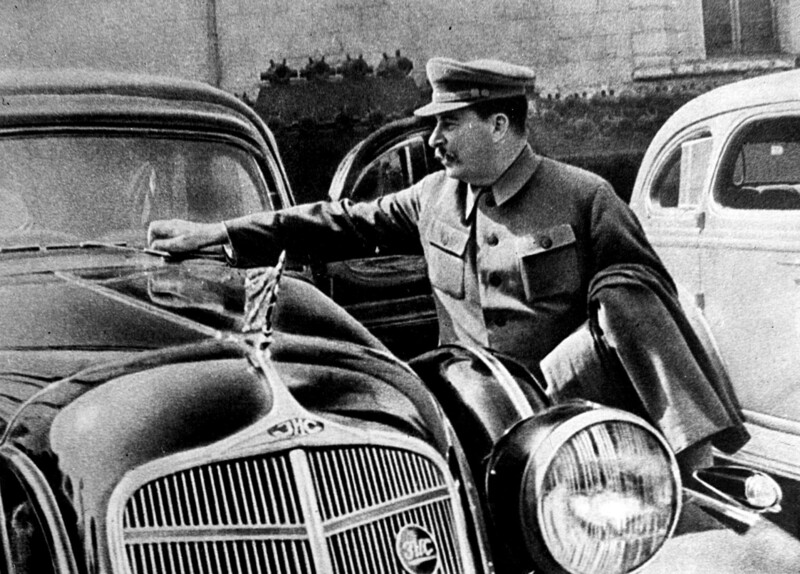 During Stalin’s reign Soviet car makers were tasked with building a Soviet limo that could be used by the highest ranked officials. During WWII, ZIS (the factory named after Stalin – literally Zavod Imeni Stalina) produced such a car – the ZIS-110. This version was customized for the Soviet leader and coined the ZIS-115. Although Stalin used the new Soviet-built car from 1947, he never entirely gave up on his beloved Packard. They say that the Soviet leader who replaced Stalin, Nikita Khrushchev, was so impressed by the Cadillac of his American counterpart Dwight Eisenhower that he ordered the creation of a new Soviet limo to rival it. His demand was in line with his famous slogan: “To catch up and overtake America.” This is how the ZIL-111 model – and the later modified ZIL-111G – appeared (the ZIS factory was renamed to ZIL in 1956 following the period of de-Stalinization). 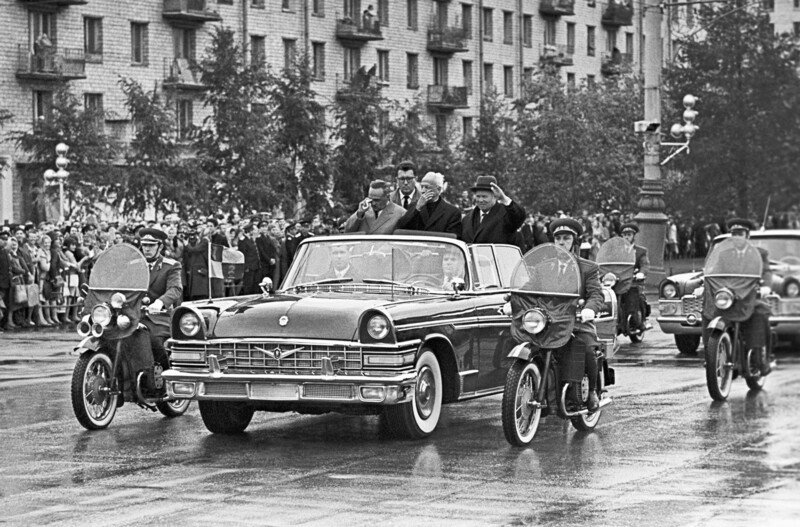 Khrushchev‘s successor Brezhnev used the next ZIL model – the 114. Brezhnev liked modern cars, so the ZIL-114 was modified several times during his 18 years in power. He also had a soft spot for foreign cars, so they say that the first version of the ZIL-114 resembled the 1965 Lincoln Continental and the updated 1977 Cadillac Fleetwood 75. These references to foreign car design were not enough for the General Secretary, so he amassed a huge collection (more than 50) of imported rides that included fancy Rolls-Royces and Mercedes, among others. 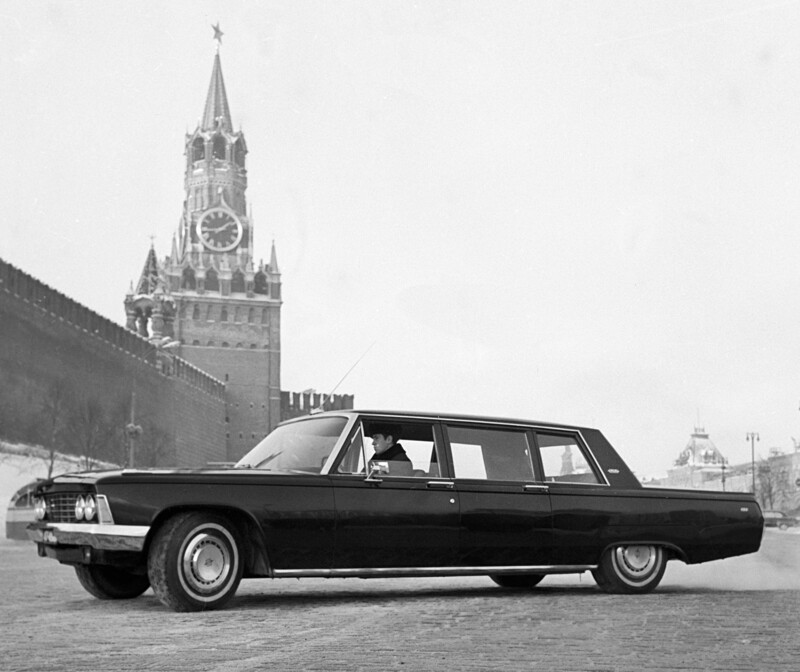 The limo used by Gorbachev was essentially a development of Brezhnev’s ZIL-114. It was labelled the 41052. Four years ago one of these limos (produced in 1989) was put up for sale for $1.7 million. It’s thought to be one of the best-armored limos in the world and able to withstand heavy explosions and gunfire. The first Russian president Boris Yeltsin used the same ZIL model as his political rival Gorbachev. However, it’s believed he did not like the car much because as a tall man with back problems he struggled to get in and out of it. 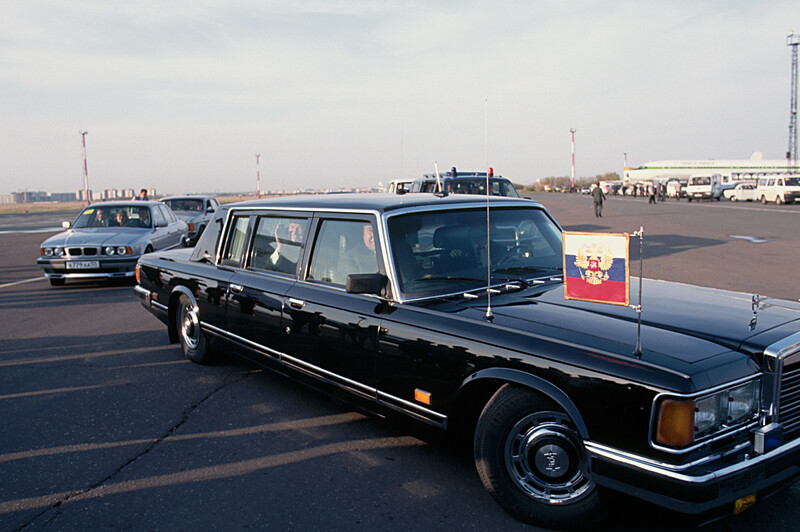 The uncomfortable entry problem was resolved with Yeltsin switching to Mercedes-made limos. In 2017 it was reported that his Mercedes was also put up for sale. The Mercedes-Benz S 600 Pullman-Limousine Guard was much cheaper than the ZIL, with the owner asking for a cool $570,000. 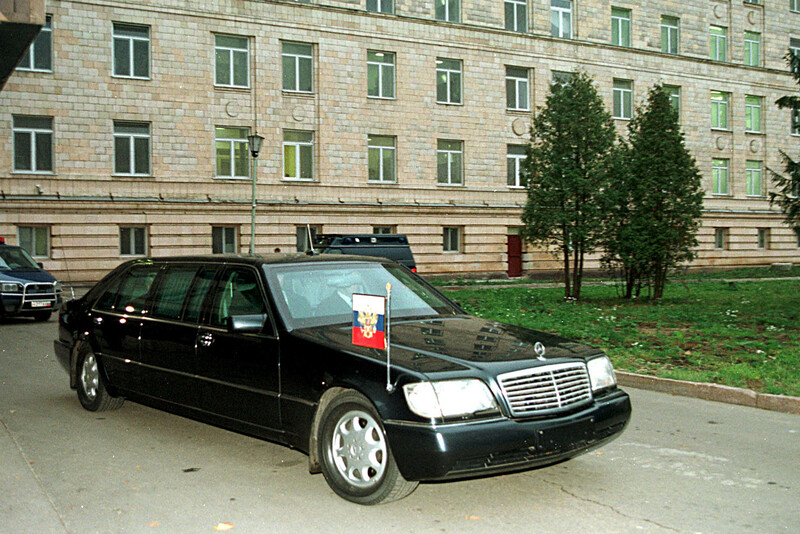 The car was originally designed for German Chancellor Helmut Kohl but he gave it to Yeltsin as a present. However, some of the Russian president’s aides denied this. In open sources, the Mercedes-Benz-S500 usually features as the car of the first Russian president. 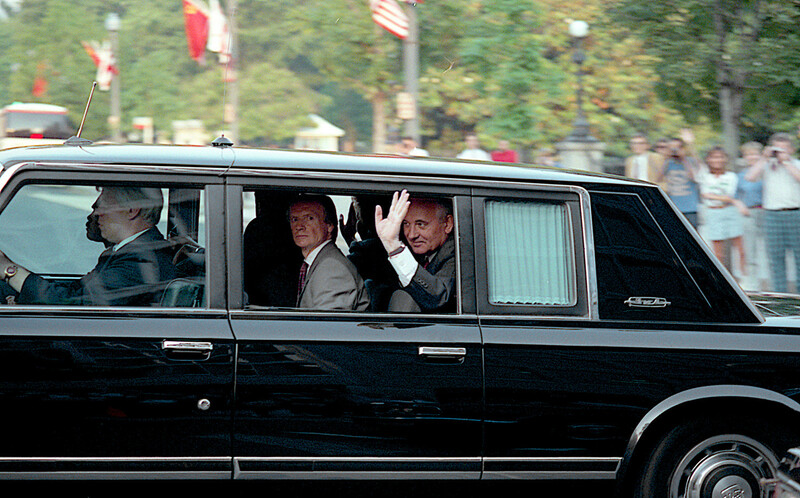 The limo was ordered for Yeltsin back in 1994. Mercedes was also Putin’s official car make until his inauguration this year, when he used a Russian-made car. The $200 million Kortezh project was launched in 2012 to create a series of special rides for the leader. What means of transport does Putin have at his disposal?